For Kelson Group Property Manager Val Wouters, May 2017 marks a special milestone. That's when Wouters, who has been with the Kamloops-based property management company longer than any of her colleagues, will be celebrating her 40th anniversary with the organization. And her tenure is something she speaks of with pride. It was 1977 when she was hired on the spot by Kelson Group owner Ron Fawcett to take on a building manager role, along with her husband Johnny who was employed as maintenance manager. 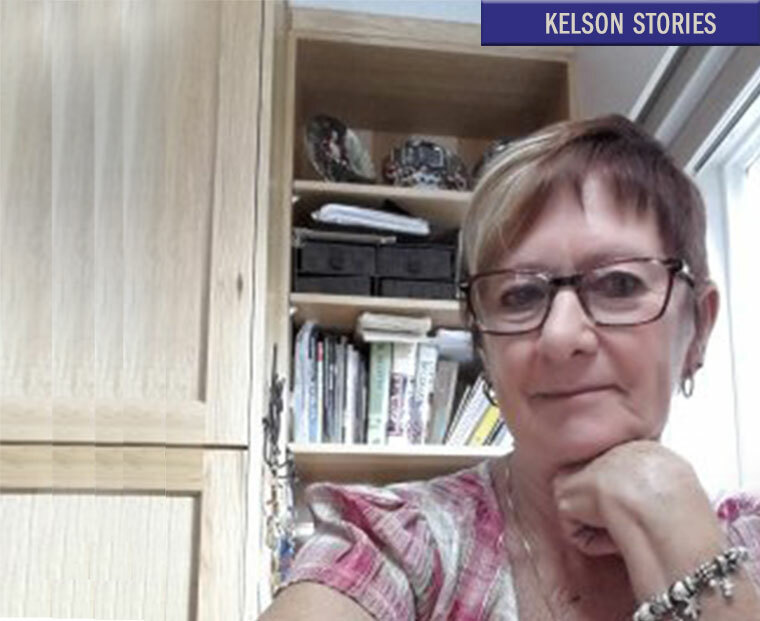 At the time, Wouters was already working in the business for another rental property company, but the timing and Kelson Group's reputation in the community were factors that swayed her decision. She has not looked back. "I don't know where that time's gone. It's what Ron and I talk about when we look across the desk. Forty years and where did it go?" But she doesn't dwell on it long in conversation. She's got a lot of other things to do, and the demanding pace suits her fine. Energetic and quick-witted, Wouters enjoys the multiple demands of her job and the people she gets to work with each day. "I'm responsible for a lot of things, collecting rent and working with residents, cleaning, gardening, weeding – everything to do with the building." Wouters attributes a sensible attitude and ability to not take things too personally as keys to success and longevity in the role. "You have to have a good attitude and at the end of the day, be able to let things go. It's a demanding job and you work with all types of people. If you take things personally, and don't have a sense of humour, you are not going to do well." That ability to find humour and calm in difficult situations has earned her respect among those she works with and, to date, Wouters is proud of her track record in offering a fair and thoughtful approach to issues and resolutions. And when there's a tough day ahead, Wouters relies on her love of walking between the six buildings she manages to burn off steam and recharge. "I am a walker and I like to be outside. I have to be busy, that's just who I am." While 40 years may seem like a long time, Wouter's is not entertaining retirement questions yet, either. Her husband retired from the company three years ago, and she is pleased for him and his ability to do more fishing. "But me… Everybody asks me, 'when are you going to retire?' I have my health and enjoy what I am doing."